All Garage Door Repair Encino: Quality Services You Can Trust! Having a reputed garage door repair service company that you can count on has so many benefits. Here, at All Garage Door Repair Encino, California we provide all related services including garage door spring repair to garage door panel replacement. We also undertake garage door installation as well as gate repair and installation service. Our All Garage Door Repair Encino crew offers quality garage door repair services specially designed to suit your budget and convenience. All our past customers keep coming back to us for their garage door repair and installation needs because we truly provide the best services in Encino. So, if you’re looking for a local garage door repair and servicing company you can trust All Garage Door Repair, Encino. Garage Door Broken Spring Repair Encino: We have specialized technicians who are capable of repairing both torsion and extension springs which are used in garage door. Our professional repair personnel have state-of-the-art tools and make use of popular modern repair techniques. 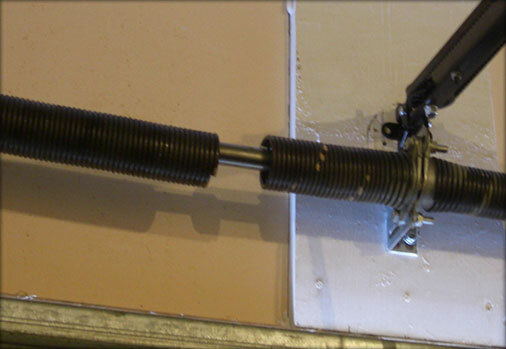 They undergo extremely intensive training for garage door spring repair and hence, your broken garage door springs will definitely be fixed in as short a period as possible. 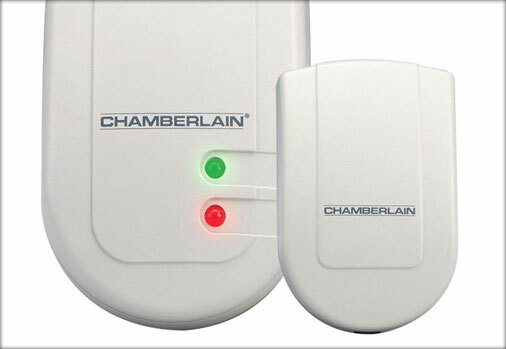 Garage Door Opener Repair Encino: We provide garage door opener service in Encino that you can rely on. We’re a local firm with excellent employees who are fantastic at what they do. Whatever your repair needs are- we can help you out with them! Garage Door Sensor Repair Encino: Damaged garage door sensors are quite a common problem these days. They need to be repaired immediately because damaged sensors can cause the garage door to accidentally shut you out of the garage or keep you trapped inside. Since we’re a local repair service, we can guarantee 24x7 emergency garage door sensor repair. Roll Up Garage Door Repair Encino: Whether you have steel garage door or modern electric garage door, we can repair them with ease. 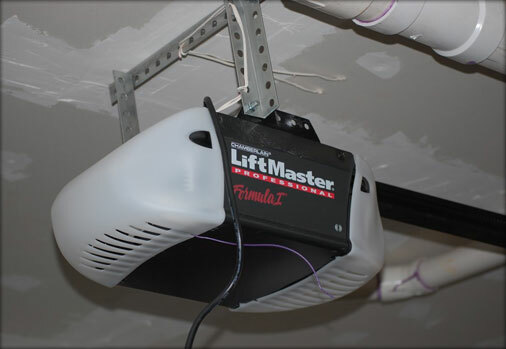 Being a local repair firm, we can get your roll up garage door fixed in a jiffy. Our technicians also have a lot of experience dealing with loose hinges, damaged tracks and broken springs. Call us for emergency roll up garage door repair you can count on! Garage Door Track Repair Encino: If you notice that your garage door is damaged in any way, make sure you call a repair service immediately. Some people think that since the door is already slightly damaged they can’t make it any worse and continue to use them despite the damage. This often leads to damaged tracks. 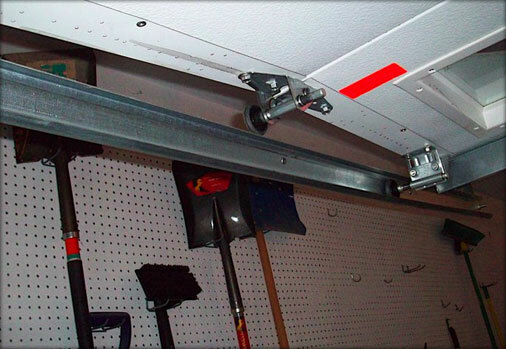 Hence, we provide emergency garage door track repair which can be availed of at any time. Garage Door Dented Panel Repair Encino: Our repair team at All Garage Door Repair is superb and they can repair any sort of garage door be it hollow, insulated, semi-insulated, steel or aluminum. Mostly, it is the aluminum and steel door which get dented and require our skilled repair. Call us today for expert garage door panel replacement in Encino. 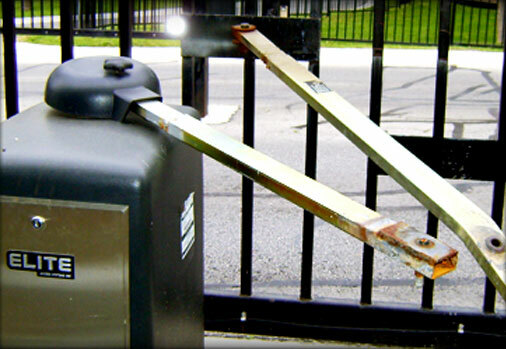 Gate Repair Encino: We also offer a variety of gate repair and installation services like gate operator repair, gate hinges/gears/chains repair, misaligned and collapsed gate repair, roll up gate repair, iron/wood gate operator repair and so on. Our repair technicians are very experienced and professional and will see that the job is done thoroughly and effectively. Commercial Garage Door Repair Encino: We also undertake commercial garage door repair and ensure that garage door at your place of business run smoothly at all times. You can also avail of our very thorough maintenance checkups wherein we check every component of your garage door system to ensure that you will not need emergency repair work. At All Garage Door Repair Encino, we also install garage door electronic keypads and repair garage door remotes. We provide excellent locks which have fantastic safety features. You can rely on us to perform a top-notch repair job and we also provide a warranty on labor and services provided just to ensure your goodwill. Call us on (818) 200-1257 for emergency 24x7 garage door and gate installation/ repair services in Encino. We guarantee you won’t have any regrets! Our team of expert repair personnel at All Garage Door Repair Encino has many years of experience and therefore can easily fix garage door components of various leading brands. We are fully licensed, insured, bonded, certified and have all the necessary accreditations. 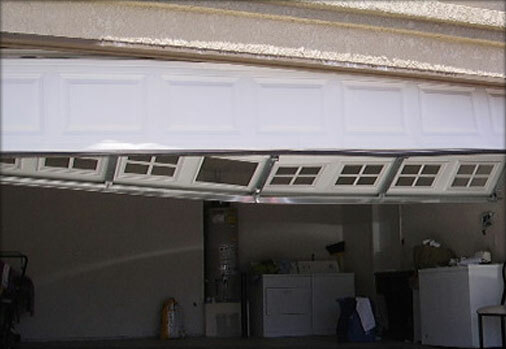 At All Garage Door Repair Encino, we address the problem head on and provide quick and effective solutions to it. We provide stellar residential as well as commercial garage door repair services and whatever issue you may be experiencing with your garage door system; our talented technicians can definitely deal with it. At All Garage Door Repair Encino, we can handle whatever you throw at us. Our repair technicians thrive under pressure and appreciate a good challenge, so don’t worry about your garage door requiring complex repairs. All our technicians can be trusted because they are fully licensed; insured and we possess all the necessary certifications. Also, if you have any queries concerning the repair/installation work that we do, feel free to ask our technicians. They will be only too happy to walk you through the whole process. Whether you require a new set of garage door installed or a gate, we have a 45-minute response time and we promise to be there within an hour. We also understand that sometimes garage door start malfunctioning at the most inopportune times. That’s why we are on call round-the-clock. Need the garage door fixed quickly because you have guests coming over tonight? Require a new gate installed because you want to spruce up the house before having a party? No problem, we can get it done! Most people are under the impression that DIY house repairs can help save a lot of money. However, as most professional repair personnel can tell you, the largest number of calls comes from people who have tried to fix things themselves and have actually ended up making the situation worse. In the long run, it is so much more effective and efficient to let the professionals handle such work. Even those who are big fans of DIY repairs will admit that fixing garage door yourself is only a temporary measure and at some point you will have to call in an expert technician. So, don't waste your precious time, call us right away for all your garage door repair needs. Not sure how to make your garage look different from your neighbor's Maybe you should consider installing a new set of garage door. You could consider upgrading to a garage door which is easy to install, makes even the most cramped spaces look sophisticated and is easy on the budget. You can also choose from computer controlled chain systems, screw drive systems and chain drive systems. We can also install door with speedy opening systems which are increasingly becoming more popular than traditional garage door. However, these can be a little expensive. You can also pick from our collection of high security garage door, some of which make use of the random code system which is very good for keeping intruders out. We have a number of styles to choose from and you can spend an enjoyable time mixing and matching various colors, materials and panels before deciding which style will complement your house and garage best. Our most popular range currently is our collection of New Custom Wood & Glass Garage Door. Our custom garage door can inject a little style and artistic appeal into any garage, no matter how old or tiny it is. We try to make our prices as affordable as possible and never compromise on quality. At All Garage Door Repair Encino, customer satisfaction is our number one priority. We can also guarantee that we are the only garage door and gate repair/installation company in Encino which provides quality repair services at such low rates. Call us on (818) 200-1257 for emergency 24x7 garage door and gate installation/ repair services in Encino. We guarantee you won’t have any regrets!